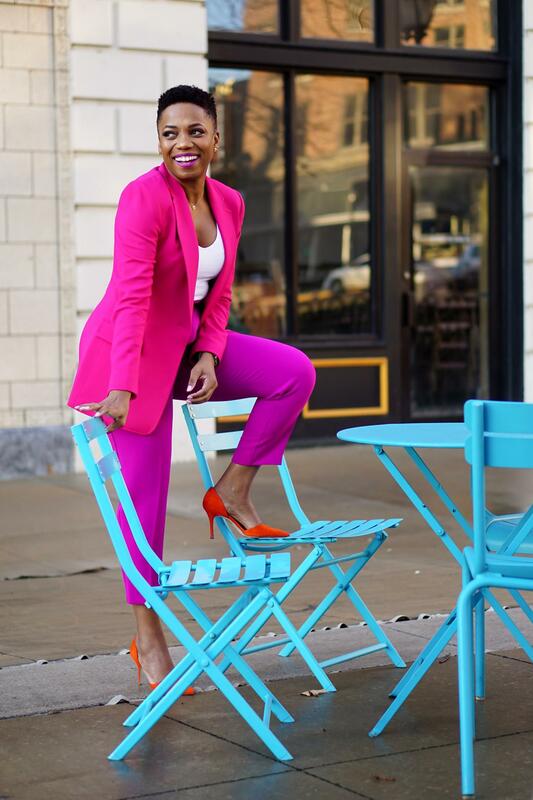 The power suit dominated trends in 2018, and I’m thrilled to see the trend holding strong in 2019 as well. 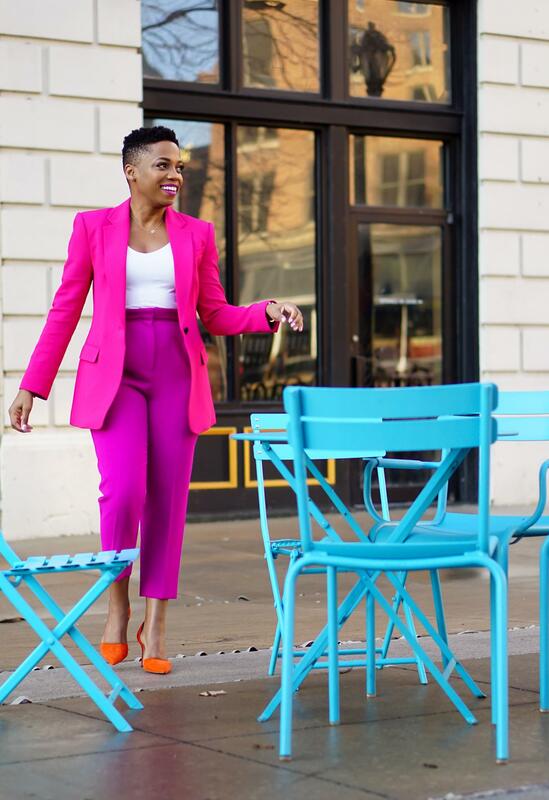 In addition to oozing with woman boss vibes, I love how easy it is easy to make a power suit your own (read more about that here). 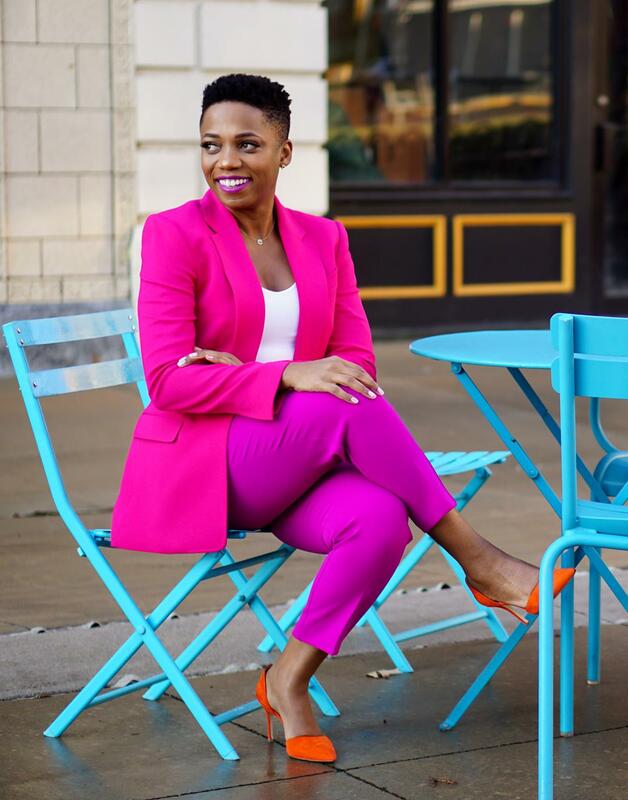 Want an easy way to update your power suit for this year? Choose tailored trousers and coordinating blazers in bold and bright hues. 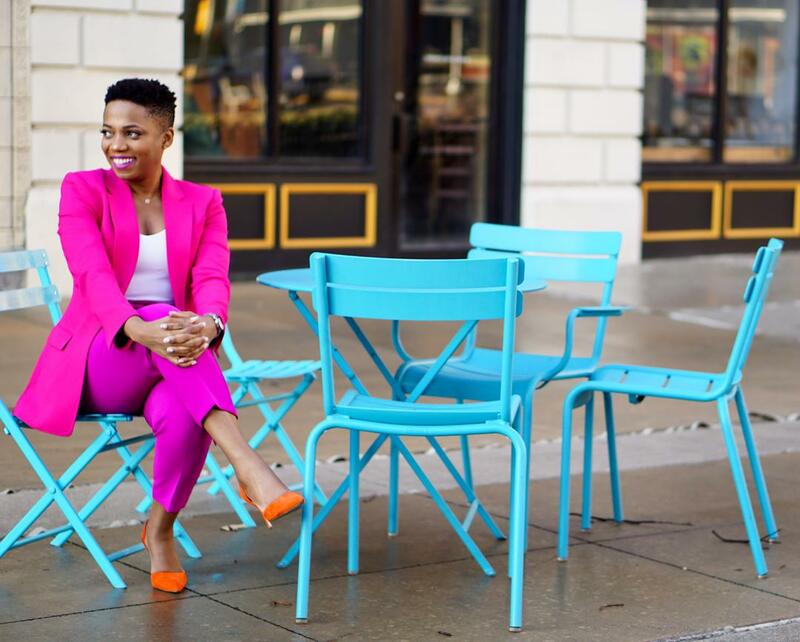 Yes, bright suits are having a moment. 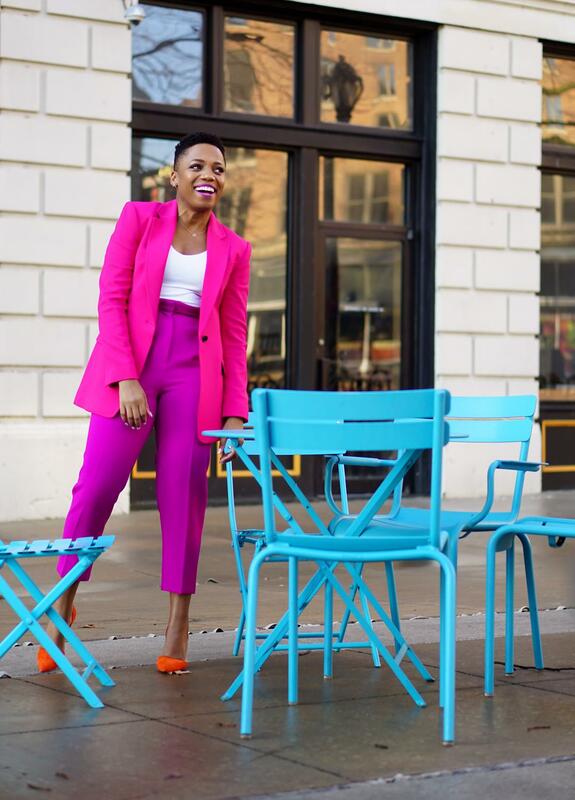 Bright suits are bold, but they’re also quite versatile. 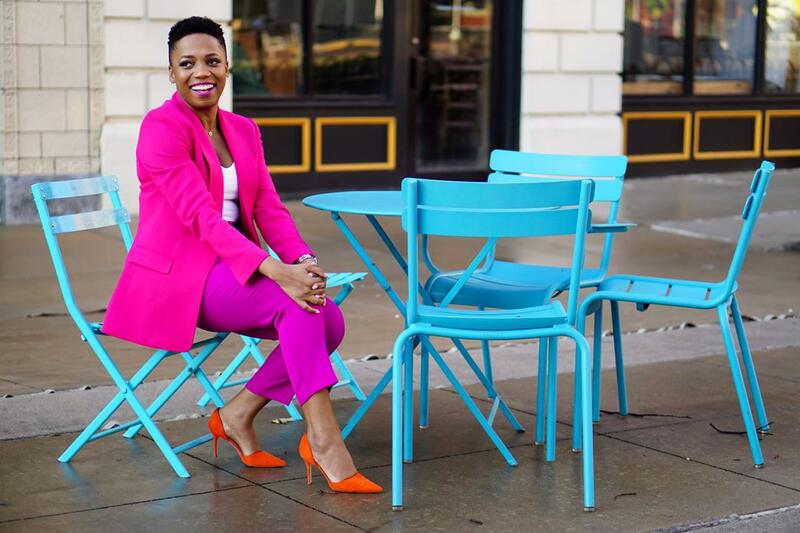 You may recognize my pink blazer because I’ve shared how I wear it with jeans (see how here and here). Expertly tailored separates can be worn in so many different ways. 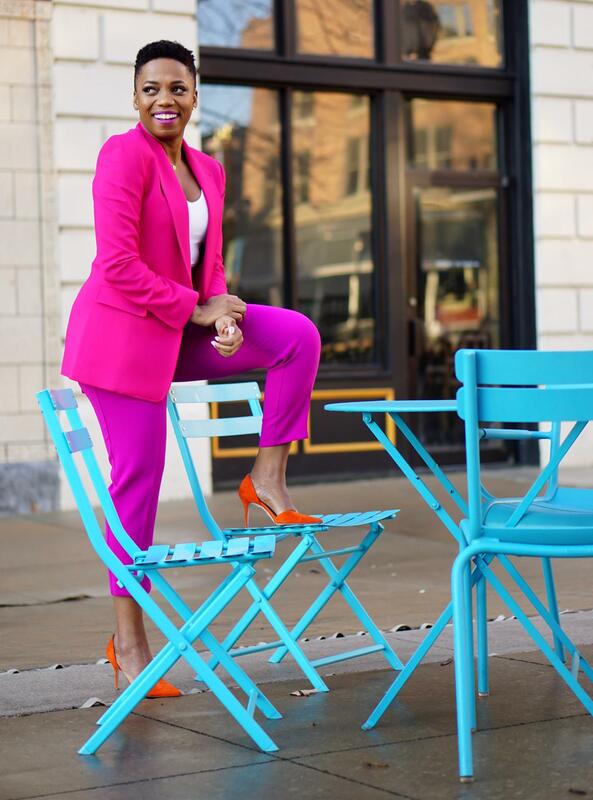 In today’s look, I’m wearing the blazer with a coordinating pair of pink pants. By the way, the pants aren’t the same shade of pink, they’re just in the same color family. I ordered the pink high-waisted trousers hoping they’d be the same color as my blazer. When I realize they weren’t, I decided to embrace the opportunity to create a beautiful tone on tone outfit. Besides, these pants were too fabulous to return. For reference, I’m wearing them in a size 8. To play with color even more, I added my orange d’Orsay pumps. Pink and orange are always happy together, right? In lieu of a red dress, I’m thinking about making this bright suit my Valentine’s Day outfit. What’s your ideal V-day outfit?